Sigma Tau Delta is the national English Honors Society. The society was founded in 1924 at the Dakota Wesleyan University. Today it includes 850 chapters, with over 9,000 members inducted annually. Our mission is to foster a love of literature and writing on the college campus and in the surrounding community. Our local FAU chapter, Kappa Rho, hosts book clubs, movie screenings, service projects, and field trips to literary events. It is a community of English scholars at both the graduate and undergraduate levels who have come together through a love of literature and a desire to foster an appreciation for the beauty of the written word. While membership in Sigma Tau Delta is limited to students who have distinguished themselves academically, most of our events are open to all interested students. 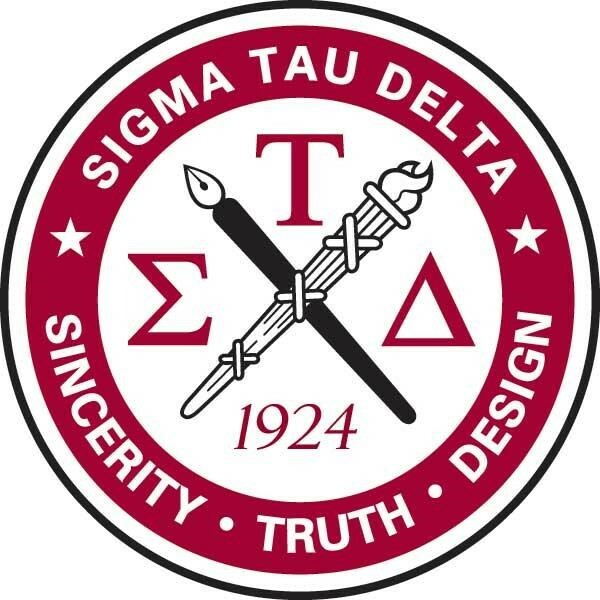 Undergraduates who apply to join Sigma Tau Delta must have completed a minimum of two college courses in English language or literature beyond freshman composition courses. The candidate must have a minimum of a B or equivalent average in English and in general scholarship, must rank* at least in the highest thirty-five percent of his/her class. Candidates must have completed at least three semesters or five quarters of college course work. (Local chapters may raise, but not lower, these criteria.) Candidates for undergraduate membership need not be majoring or minoring in the discipline of English. Candidates for graduate membership who did not hold undergraduate membership must be enrolled in a graduate program in English or one of its specializations, have completed six semester hours of graduate work or the equivalent, and have a minimum grade point average of 3.3 on a 4.0 scale. Lifetime membership is $55, which entitles the member to a certificate of membership, a membership pin, and access to Sigma Tau Delta scholarship opportunities. Please email Daniela Barbieri if you have any questions or would like more information. Application should be sent to Prof. Shelby Johnson. FOLLOW US FOR THE LATEST NEWS ON SIGMA TAU DELTA! * This requirement may also be interpreted as "have an overall B average in general scholarship" (e.g., 3.0 GPA on a 4.0 scale).